TBB bearing is a professional bearing trading company with 18 years of experience and served 2000+ global enterprises. Dear customers, in order to select the correct bearings that suit for the specific application and equipment, .. Timely access to relevant content our organization's activities, news events, exhibitions and training programs. TBB deep groove ball bearings including thin section deep groove ball bearing, single row dee p groove ball bearing and double row deep groove ball bearing which are used in most applications that involve moving parts. Our ball bearings satisfy US/French/Germany customers standard. - Thin section deep groove ball bearing, used for mining & construction industry, semiconductors, food processing machinery. 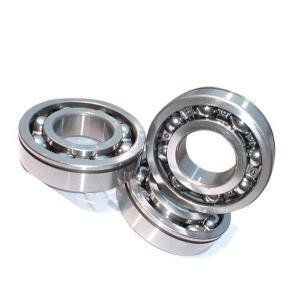 Thin section ball bearing with low friction and irregular torque is also beneficial to weight saving and reduction of torque loss of equipment or machinery.- Single row deep groove ball bearing is kind of common rolling bearings which is mainly to bear the radial load, also can bear the axial load. As the radial clearance is increasing, it possesses the performance of angular contact ball bearing and the axial load is increasing.- Double row deep groove ball bearing is widely applied in many areas as mine machine, port hoisting machine, port oil transfer equipment, onshore and offshore crane, steel plant, electronic power plant, wind power generation, other construction and industry machine or equipment. More than 18 years of exporting experience in bearing industry. 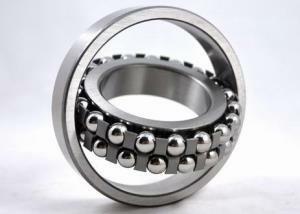 TBB angular contact ball bearing can better meet the requirements of equipment or machinery. Because of the angular contact, they can sustain both axial and radial load. Currently, all of TBB bearing have been certified by ISO9001. 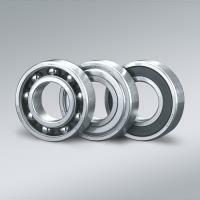 We make sure that any one of our bearing is cost effective with competitive price and high-quality. 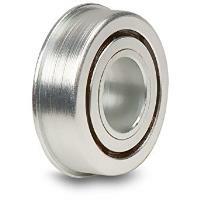 - Single row angular contact ball bearing has a contact angle as 15, 25, 30 and 40-degree angle. The bigger the angle, the large the axial load they sustain. Single-row angular contact ball bearing is design to meet high running accuracy requirement of the main spindles of machine tools. 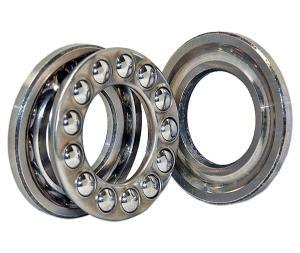 - Double row angular contact ball bearing comprises solid inner and outer rings, balls and cages assemblies with pressed steel, brass cages, or polyamide cages. The bearing is available in open and sealed type. Special honed raceways minimize noise and improve the bearing service life. - Four-point angular contact ball bearings are units with outer races, split inner races, balls and cage assemblies with pressed steel cages or machined brass cages. The contact angle is 35°, thus the axial load capacity is pretty high. High grade balls ensure the balls rotating quiet and smooth operation even at high speed. Self-aligning ball bearings are constructed with the inner ring, ball assembly, out ring with a spherical raceway and cage assemblies. The bearing has the self-aligning performance. Thus, to some extent, the axis of inner ring can deflect around the bearing center. Under normal load, the inclination of the outer ring and inner ring should not exceed 3 degrees. The material of the cages is steel, synthetic resin and so on. Open type and sealed type bearing is available in TBB. Cylindrical roller bearings include single row, double row, multi row, spiral roller bearing, and full complement cylindrical roller bearing. Commonly, the cylinders length of roller bearing is slightly greater than diameter. Compared to ball bearings, cylindrical roller bearing have a higher radial load capacity - Single row cylindrical roller bearings are widely applied in railways, injection molding, electric motors and so on. Pressed steel cages and machined brass cages are common to see in cylindrical roller bearings for its high load rating. - TBB double row cylindrical roller bearing has several designs such as with a cylindrical bore or tapered bore. Here are several designs, NNU design, NN design and NNUP design. Because of the bearing with two rows of rollers, their load carrying capacity is higher than single row. - The structure of multi row cylindrical roller bearing is open or sealed. 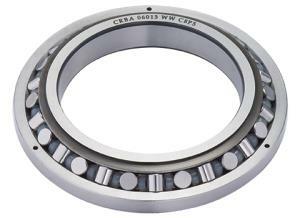 These bearing has a cylindrical or tapered bore. This kind bearing is widely used in rolling mill application and roller presses. Four row cylindrical roller bearings only accommodate radial loads.- The permissible operating temperature of Spiral roller bearing is limited by the following three items: the seals, the lubricant and the dimensional stability of the bearing material. You can according to the temperature requirements choose the suitable bearings in TBB. -The basic TBB full complement cylindrical roller bearing includes NCF, NJG, NNCL, NNCF, NNC, and NNF design sealed bearings. TBB roller bearing is characterized by high load carrying capacity at a moderate speed, long service life. Tapered roller bearing comprises of tapered inner ring, tapered outer ring, tapered rollers and cages. 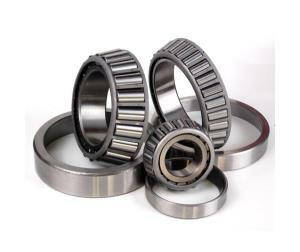 Tapered cylindrical roller bearing is designed to sustain both radial and axial load. TBB manufactures tapered cylindrical roller bearing in many designs as single row, double row and four row tapered roller bearing. - Single row tapered roller bearing is designed to sustain both radial and axial loads simultaneously. 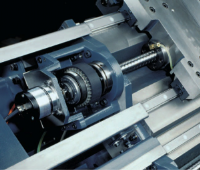 The contact angel determines the axial load capacity of tapered roller bearings. The large the size of the contact angle, the large the axial load carrying capacity. - A variety of designs of double row tapered roller bearing can be found as TDO and TDI designs. Both designs can accommodate heavy loads in both radial and axial directions. 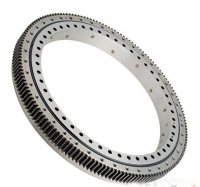 Double tapered roller bearing is widely applied in pumps, compressors, machine tools and wind turbines. - Multi row tapered roller bearing is characterized by high load carrying capacity, high stiffness, low friction, long service life and optimized surface finish on the contact surface of the rollers and raceways. All of the above provides multi row tapered roller bearing with optimal load distribution and set preload more accurately. TBB bearing is the leader with more than 18 experiences exporting bearing in China. 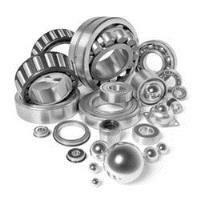 We almost covey all kinds of bearing, ball bearing, roller bearing, tapered bearing and other bearings. All kinds of crossed roller bearing are available in TBB. You are welcome to consult bearing problems. Needle roller bearing is a kind of roller bearings which the cylinder rollers are small in diameter relative to their length. TBB provides needle roller bearing in many designs and sizes which is appropriate for a wide range of operation and machinery. TBB needle roller bearings include cage needle roller assemblies, drawn cup needle roller bearing, solid needle roller bearings thrust needle roller bearings, cam followers and roller followers. Rolling element is a crucial components of rolling bearing. The common to see rolling elements are ball, cylindrical roller, spherical roller, needle roller, tapered roller and so on. According to the material of the cage assemblies, it basically can be divided into press steel cages, machined brass cages, chrome steel and molded polyamide cages. Pressed steel cages and machined brass cages are generally used. 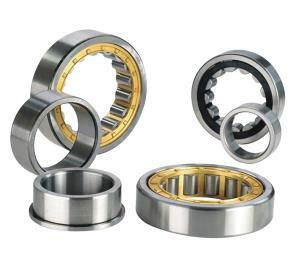 - When rolling bearing operates, sliding friction cause bearing heat and wear. Especially under high temperature conditions, inertial centrifugal force exacerbates friction, wear and heat. Therefore, qualified needle roller and cage assemblies must meet the following requirements, stiffness, good thermal conductivity, low friction factor, wear resistance, impact resistance and the coefficient of line-expansion of the cage assemblies are similar to the rolling-elements. In addition, the material of cage assemblies has good processing performance. - TBB cylindrical roller and cage assemblies are characterized by high stiffness, long life service life. Our cylindrical roller and cages assemblies are available in all sizes, designs and materials. All of these are ISO certificate approved make sure the high quality and competitive price. According to the rolling-element, thrust bearing can be divided into thrust needle roller bearing, thrust ball bearing and thrust roller bearing. 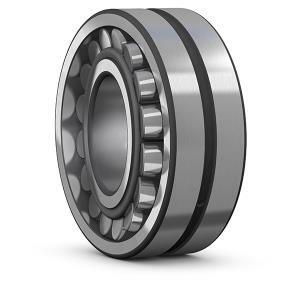 TBB thrust bearings are designed to accommodate axial loads only and cannot sustain any radial load. - Thrust needle roller bearings are suitable for heavy loads. These bearing have been sold to USA, Britain, French and other overseas market. ISO9001 quality certificate approved to ensure the excellent quality.- Thrust roller bearings include cylindrical roller thrust bearing, tapered roller thrust bearing and spherical roller thrust bearing. 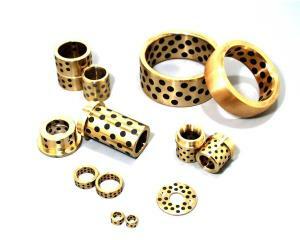 It is common to see machined brass cages and pressed cage for high load capacity for thrust roller bearing. - TBB Thrust ball bearings manufacture as single direction, double direction and angular contact thrust ball bearing. The components of TBB bearing is separable and interchangeable which is convenient to mount and dismount as well as maintenance inspection. TBB pillow block bearing unites include pillow block ball bearing, insert bearing and pillow block spherical roller bearing. Pillow block bearing unites are widely applied in transmission equipment and machinery. - Plummer block spherical roller bearing is the most common type of the TBB bearing. Plummer block spherical roller bearing is mounted with the use of an adapter. It is widely applied in steel industry, mining construction and papermaking machinery. 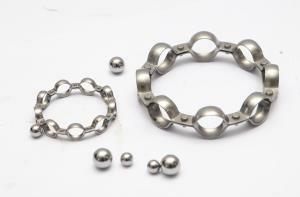 - TBB have manufactured a variety of pillow block ball bearings. They are available in various designs, sizes and meet a range of operation conditions and machinery. 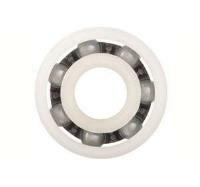 These pillow block ball bearing are well known for their quality and durability. - Insert bearings include Y type bearing with standard inner ring, sunk screw Y bearing, eccentric locking collar Y bearing and so on. These bearing is characterized by high quality, stiffness, durability and high loads. TBB insert bearings are precision-machined so that our bearing has a long service life. TBB plain bearings include rod end and spherical plain bearing. Plain bearings have simple structure and easy to use and maintain, furthermore, the application is broad. Because rolling bearing can only accommodate limited misalignment, therefore plain bearings are manufactured to provide more economical solutions to more challenges. 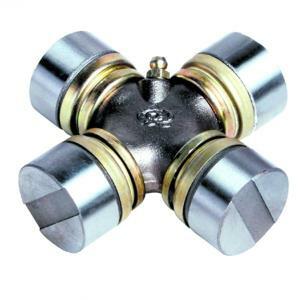 - TBB supply Rod ends in various designs and different sliding contact surface combination. Each rod end type bearing has its own feature performance which make it suitable for certain application. 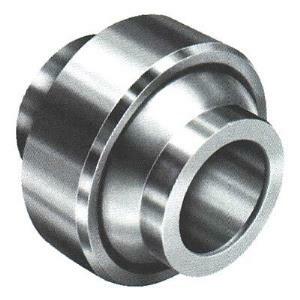 - Spherical plain bearings are suitable for oscillating movements and can accommodate misalignment. Spherical plain bearing includes angular contact spherical plain bearing, thrust spherical plain bearing and radial spherical plain bearing. TBB manufacture of all kinds of oil less self-lubrication bearing and bushings. Oil less self-lubricated bearing has various types as corrosion resistant, high temperature, bronze, stainless steel, heavy duty and heavy load bearings. Customization is available in TBB. You can customize according to the specific conditions. TBB Slewing bearing includes triple roller slewing bearing, single row cross roller slewing bearing, double row ball slewing bearing, a-point contact slewing bearing, trailer slewing ring and slewing bearing with flange. Slewing bearings are widely applied in agricultural trailers, irrigation systems and airport luggage carriers. A variety of sizes and designs of universal joint bearings types and are available in TBB bearing. You can choose universal joint bearing which need maintenance or maintenance-free. Open type(without seals) or sealed can also be found in TBB. 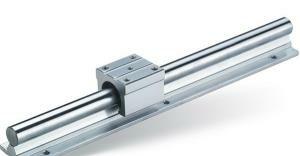 Linear bearing/Linear guide is a bearing designed to provide free motion in one direction. TBB supplies many different types of linear bearings such as square flange mount linear motion bearing, crossed roller way unit linear guide, linear motion ball bearing and housing unit, and so on. You are welcome contact us for free samples. Bearing with a flange on the outer ring is called flange bearing. Flange is designed to reduce radial friction and support loads. It is suitable for standard duty application such as conveyors, material handing baggage system and so on. Track roller bearings can be basically divided into the following three classes according to the design details, cam roller, support roller and can followers. Each type is designed to particular operation condition and machinery. Track rollers are characterized by long service life and high radial load. One-stop service is also available in TBB. Please feel free to ask for samples. The material of ceramic bearings is usually silicon nitride, alumina oxide, zirconia oxide or silicon carbide. Ceramic bearing is featured by high load, high speed and high temperature resistance. 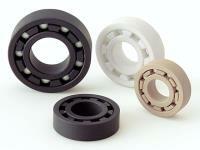 Ceramic bearing performances makes it the ideal bearing for extreme conditions and application. TBB ceramic bearing including XY hybrid ceramic deep groove ball bearing, sealed hybrid ceramic deep groove ball bearing and other types. A variety of sizes and styles are available. You can also choose customization. TBB stainless steel bearing is the solution for corrosive environments. 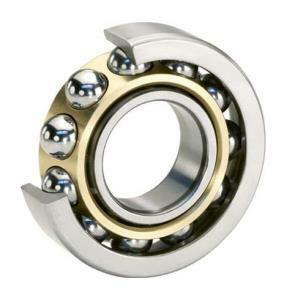 One of the common types of stainless steel bearing is stainless steel deep groove ball bearing. In addition to the deep ball bearing performances, it is more suitable for humid environment but remain long service life. 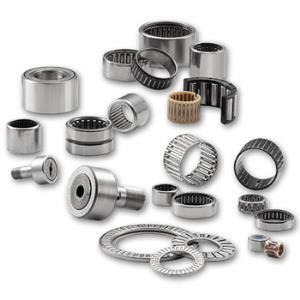 Miniature bearing contains a large number of types. The most common to see is deep groove miniature ball bearing and angular contact miniature ball bearing. According to the structure design features, deep groove miniature ball bearing can be further divided into the following kinds, standard type, flange outer ring, extended inner ring and thin section type, please feel free to consult us bearing question and ask for free sample. TBB has the advanced bearing production equipment and related technology. 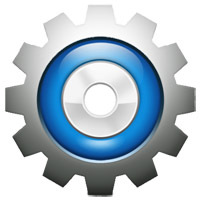 We also know how machine components work with industrial processes. ISO certificate approved to ensure the bearing quality. Due to high quality and excellent after-service, TBB Bearing has been sold to USA, Britain, French and other overseas market. We also provide variety kinds of bearings with OEM. 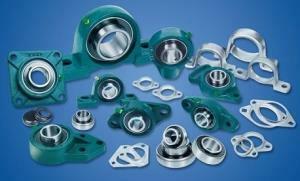 TBB bearings can also be divided in to several types according to the application. The common types include forklift bearing, robotic bearing, agricultural bearing, automobile bearing, water pump bearing, machine tool main shaft bearing, conveying bearing, wind power bearing household appliance bearing and so on. These bearing are characterized by lower bearing noise levels, higher levels of dependability, better running accuracy and lower heat generation. Please contact our sales people for professional consulting.